These shoes are genius! 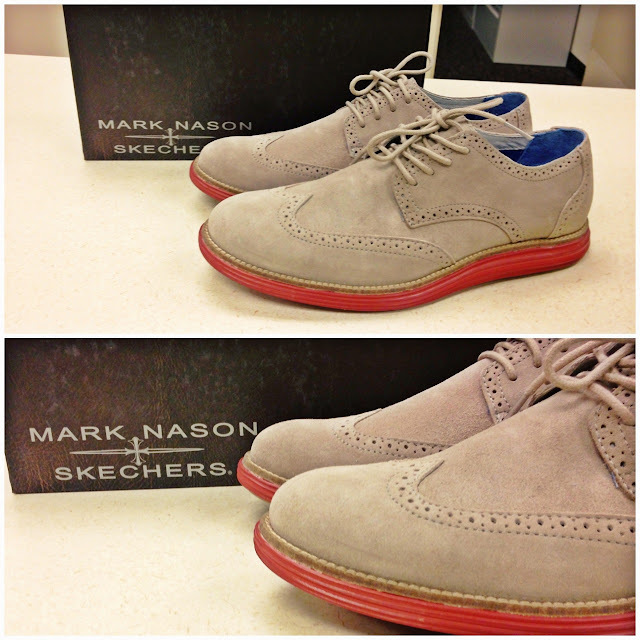 They're my second pair from the Mark Nason and Skechers collabo. I absolutely love the quality of the shoes and they fit really nicely. I needed a neutral pair to add to my collection so I had to pick these up at Nordstrom Rack. They are identical to Cole Haan's Lunargrand Wingtips, which we all love, but at a fraction of the price!